Winter Acro Camp! 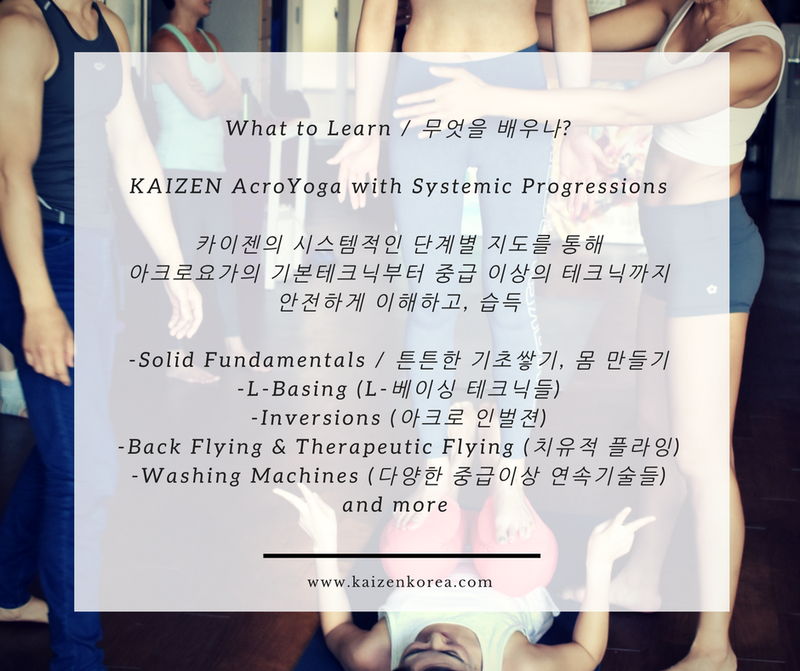 Come join us in Busan for an intensive weekend where we're working on drills and skills for acro and beyond! 3. 확인후 참가신청 완료 문자드립니다. 카이젠의 소식을 가장 빠르게 접하는 방법들! 1. 카이젠 카카오톡을 친구추가 해주시면 카이젠에서 진행되는 워크샵,수업,지도자과정 등에 대한 정보를 누구보다 빨리 접하실 수 있습니다.